Are you sure you want to subscribe to updates for Huawei MU609 - HSPA+ LGA Module - USB/UART Interface? 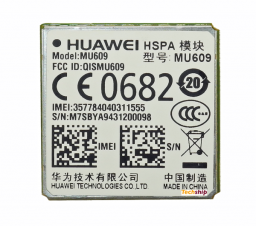 The Huawei MU609 is a quad-band UMTS/HSPA+ (3G) wireless module supporting downlink data rates up to 14.4Mbps and uplink data rates up to 5.76Mbps. 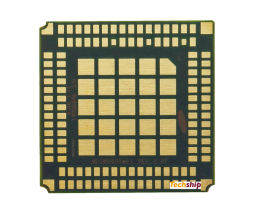 This module is part of Huawei's new LGA family, including MU509 (HSDPA), MU609 (HSPA+) and ME909 (LTE) which are all pin-to-pin compatible to enable a clear and easy path for future integration. This makes the integration of any one of these modules very future-proof. This module has the form factor LGA. For the same module with the form factor mPCIe please refer to our article 10108 Huawei MU609 Mini PCI Express. Please check out our article 10127 MU609 developer kit for test and development. This document describes the Huawei RIL (Radio Interface Layer) for Android and the deliveries included. It includes description on how to integrate the RIL and what is supported. This document describes AT command interface specifications that is supported by Huawei terminal product MU609 module. Please read the release note released with the firmware software before using MU609 module and this document. This document describes how electrostatic discharge (ESD) occurs, how to conduct ESD tests, how interfering signals resulted from ESD are coupled to circuits of electronic devices, and what rules need to be followed during ESD design for Huawei LGA modules. Following these rules can provide users with good ESD performance during applications of Huawei LGA modules. This document describes the rules and precautions of designing Printed Circuit Board (PCB) interconnection for the HUAWEI LGA module. By observing the rules, users can ensure the performance of this module in use and reduce costs effectively. The purpose of this document is to describe some hardware specification which is useful to develop a product with HUAWEI LGA module supporting PCM (Pulse- Coded Modulation). This document is intended for HUAWEI customers who are integrators and about to implement their applications by using our module. The HUAWEI LGA module supports the PCM, which can be used for the module to transmit and receive digital audio data. Linear and μ-law codecs are supported. The HUAWEI LGA module uses the PCM interface as part of the audio front end; it easily allows for an external codec to be used instead of the internal codec. As an example, through the PCM you could connect a HUAWEI LGA module to a Bluetooth device. The HUAWEI LGA module has one PCM port. Please refer to the Hardware Guide of the module that you are in use to know the PIN number of the PCM ports. This is the datasheet for the Huawei module ME609 LGA. This document is intended to provide references for customers to do module firmware update over the air. Customers need to refer to this document to develop the host application. This document also contains examples and relevant description. Huawei module and the related firmware in the table below support the FOTA service. This document describes the hardware application interfaces and air interfaces provided by MU609 module. This document helps the hardware engineer to understand the interface specifications, electrical features and related product information of the MU609 module. This document gives an overview of the Huawei MU609 HSPA+ LGA Module and it's features. This chapter provides a brief description of the MU609 LGA module development kit (DVK), including introduction to the DVK and components of the DVK. also contains examples and relevant description. Certification for MU609 from the European Community. 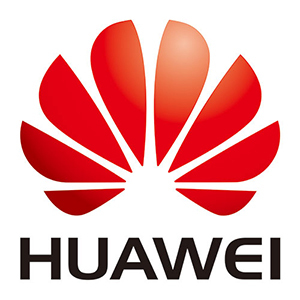 This archive contains the CCC documentation for the Huawei module MU609. This is the Austalia A-Tick certificates and reports for the Huawei module MU609. The archive contains Atic doc for both LGA and mPCIe as well as reports. This is the CFG Certificate for the Huawei module MU609. Contains GFC Table, PIXIT pictures, Test results and GFC picture of web. This archive contains the AT&T certified firmware for MU609 on US networks. In Linux, Huawei UpdateWizard is required. Windows Update Wizard for MU609 that is used to update module firmware version to 12.105.29.00. Release notes are attached in the archive. How to collect initial diagnostics data for Huawei cellular modules when requesting technical support? How to collect initial diagnostics data and logs for Huawei cellular modules needed when requesting Techship technical support? In order to troubleshoot and solve a technical problem, we ask you to please provide information about your system and logs from the related Huawei module when creating a technical support ticket. The logs from module firmware can be acquired by accessing one of the USB enumerated serial (COM) interfaces accepting AT commands. (In Windows this is the PC UI serial interface). Send the following commands to module and capture the text output and include them when creating the the technical support ticket. How to install Huawei drivers in Windows 10 for modules with Qualcomm chipset? First install this driver from product page. Afterwards open Windows Device Manager and locate HUAWEI named device(s) with warning sign that are not installed correctly. Locate the folder under C:\Program Files (x86)\HUAWEI M2M Driver\Driver\ or the install files folder, select include sub folders also and click next. Now the drivers should get installed by the system. You will have to repeat the procedure for all Huawei devices in Device Manager with warning signs. Now you will have have a working Huawei Qualcomm based module and you can connect to internet with Windows built-in connection manager or Huaweis Mobile Partner software.